2018 world cup is almost here and it is still not certain if Zlatan Ibrahimovic will feature for Sweden or not. Zlatan recently signs for LA Galaxy from Manchester United and there have been speculations he might return to the National team since his retirement in 2016. Ibrahimovic was a guest last week at Jimmy Kimme Live and he told the audience he will taking part in the World Cup. However, Sweden Coach has now responded the LA Galaxy star by telling he has to contact him first before thinking of a place in the Squad. "I don't know [ if he'd still fit into the tram]. But I also don't think about it. I take the things as they come if they come." 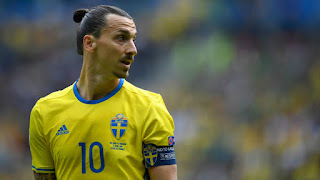 Do you think Sweden Coach should give Ibrahimovic a chance in the World Cup Squad?